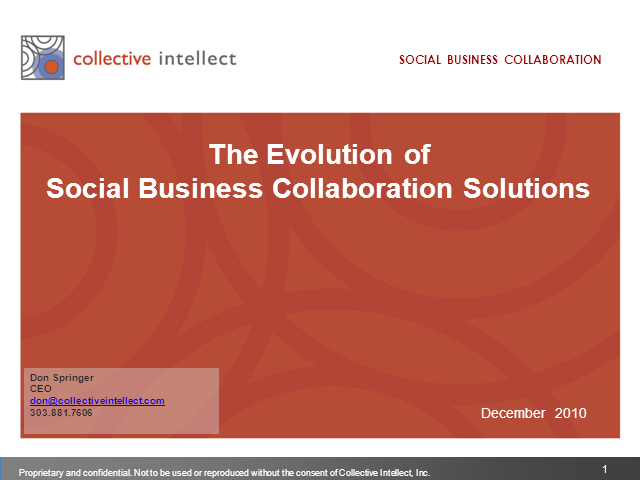 The drive and demand for the enterprise to integrate social business within their key lines of business is accelerating. It is becoming imperative for businesses to better communicate and form valuable relationships with their customers, prospects and influencers in the new social media world. Learn what the key technology components are to effectively listen, engage and measure success at the enterprise level, to gain a repeatable, consistent and scalable approach to become effective with this new communication methodology.